The term translingual highlights the reality that people always shuttle across languages, communicate in hybrid languages and, thus, enjoy multilingual competence. In the context of migration, transnational economic and cultural relations, digital communication, and globalism, increasing contact is taking place between languages and communities. In these contact zones new genres of writing and new textual conventions are emerging that go beyond traditional dichotomies that treat languages as separated from each other, and texts and writers as determined by one language or the other. Pushing forward a translingual orientation to writing—one that is in tune with the new literacies and communicative practices flowing into writing classrooms and demanding new pedagogies and policies— this volume is structured around five concerns: refining the theoretical premises, learning from community practices, debating the role of code meshed products, identifying new research directions, and developing sound pedagogical applications. These themes are explored by leading scholars from L1 and L2 composition, rhetoric and applied linguistics, education theory and classroom practice, and diverse ethnic rhetorics. 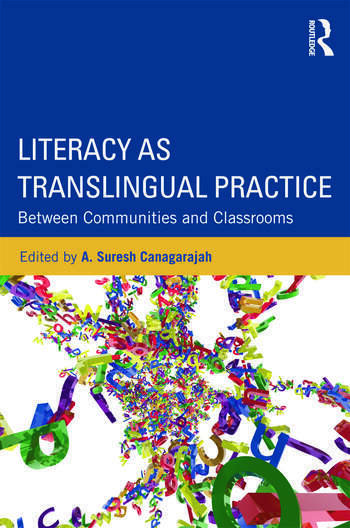 Timely and much needed, Literacy as Translingual Practice is essential reading for students, researchers, and practitioners across these fields. Suresh Canagarajah is Erle Sparks Professor and Director of the Migration Studies Project at Pennsylvania State University.